The Mermaid's Tale: Epigenetics and adaptive evolution: which wins? Yesterday we discussed some aspects of epigenetics, that is, the modification of DNA that does not alter its nucleotide sequence but does induce or repress expression of genes in the modified area of the chromosome. There were a lot of comments and replies on that post that you might want to browse. However, one reader tweeted a very interesting question that we'd like to address here where others could see his and our thinking. He wrote: Could epigenetic inheritance make genetic assimilation more potent since environmentally induced phenotype is multigenerational? We thought this was worth addressing here, as it raises important issues about how evolution works. For readers who may not know the term, 'genetic assimilation' refers to a situation in which some environmental factor induces one of a particular set of possible states (sometimes called polyphenism). This has long been studied in many different species, though much of the work was done in the early 20th century's pre-gene era--that is, when actual known genes were few and far between. Earlier studies had to rely on traits for which there was reasonably specific evidence, even if indirect, that their variation was due to genetic variation. Clearly we now know that many traits, including behavioral traits of various kinds, are affected by epigenetic changes as well as DNA sequence variation. In itself, traits due to epigenetic changes have not seemed to be inherited: Although since gene expression is directly the result of environmental changes a cell detects, epigenetic changes are a major mechanism of local adaptation. However, the idea has been that state of an organism's trait would not be inherited. Each organism starts life afresh in terms of its gene usage. Yet there are by now many studies in various species, direct and indirect, observational and experimental, that show not just that changes in cell behavior involve epigenetic mechanisms, but that epigenetic changes may sometimes be inherited--perhaps even for multiple generations. This has been seen as a threat to Darwinian theory, to the extent that such assertions have been sneered at as almost ante-diluvian Lamarckian nonsense. Still, there is the evidence, and it's from legitimate investigators, not crack-pots, and from legitimate journals (well, some of them are like Nature and Science, that go for sensationalistic stories, sometimes not looking all that closely at the evidence). So those who react against anything that smacks of environmentalism should stop and take a breath. There is nothing at all surprising about organisms reacting to their environment and since we are made of cells that express genes, about that reaction involving gene-usage changes. Epigenetic changes are not mystic, mechanisms are clearly known, and they at most would change the criteria to which the term 'inheritance' is applied. This in the same way that, because of increased understanding of DNA, the term 'gene' has rapidly lost its standard 20th century meaning--with no threat to basic genetic or evolutionary theory. Traits, including behavior, were thought occasionally to be such that they might lead to higher reproductive success, and if in the same environment this success was consistently achieved by having the trait, it could be beneficial for mutations that arose, which generated the trait, to increase in frequency. That is, if such mutations arose, selection could favor them so that eventually traits that had once been environmentally induced became genetically hard-wired. How often this actually happens in nature is debatable and controversial because it has seemed by some to verge on non-Darwinian evolution. But if or when it happens,, genetic assimilation would, in a sense, guarantee that the individual had the advantageous trait. This is what led our correspondent to ask whether epigenetic changes that could be passed down over some generations might give normal genetic evolutionary mechanisms a chance to occur, by presenting the favored trait to the environment more stably and consistently than if it depended on chance epigenetic mechanisms each generation. The obvious answer is that this is certainly plausible. But it would have to persist for far longer than has been observed, to our knowledge, to match the slowness and random-mutational aspect of normal evolution. As important, to us, is that if one thinks carefully about evolution, it is not so clear what would actually happen. But good or bad? Is epigenetic or genetic causation more 'fit'? If the trait were hard-wired because of mutations, environmental induction wouldn't be necessary. If the environment is present, the organism doesn't have to rely on any chance aspects of epigenetics to make it fit, relative to natural selection, compared to a less likely competitor who had to rely on that chance. Of course, the mutations shouldn't reduce the chance of a response, say by erasing the DNA signal for epigenetic marking. But if they guaranteed the trait, the organism starts out life in an adapted state. Yet one can ask when it is a good for a species to be hard-wired. One could argue that it is not such a good thing, because the organism may be far less able to adapt to different or changing circumstances. Depending on the species, its population size and habits and reproductive biology, it might be far better for each individual or local set of kin to adapt in an epigenetic way, when or if the environmental circumstance arises. An epigenetic response would be reversible when environments change. Let the environment do the talking, so long as the organism can respond to it. However, an obvious analogue to natural selection applies to epigenetic traits: if they are really passed down from one generation to the next, that is itself like a form of hard-wiring that's only somewhat 'softer' than incorporating the trait into a deterministic DNA sequence. It might be better not to transmit the trait even epigenetically. If the environmental factor is utterly inevitable, hard-setting by DNA sequence might be as good as or even surer than epigenetic transmission. But otherwise, maybe the risk of having to experience the environment and then adjust to it epigenetically, is worth the ability not to make that epigenetic change until it's necessary. In other words, both genetic and epigenetic pre-determination may both be risky. In a less certain environment, it may be better for each individual to learn by experience how to respond to what it faces; in that case, epigenetic marking is a good way to go, but not necessarily epigenetic transmission across generations. Here we have some testable, sensible scientific issues with no obvious answer. Of course, one first has to accept the reality of epigenetic effects and their transmission under at least some conditions, before one can even ask the question. But whether conceptual assimilation by scientists is as real as genetic assimilation is not so clear. Added after posting: Today the current June 2014 issue of Trends in Genetics arrived in my box. It has a nice review of epigenetic mechanisms, including discussion of the evidence (D'Urso and Brickner, vol. 30(6): 230-236). It notes trans-generational effects, in the context of fitness and evolution. It probably is not circumspect in this respect, in terms of how long such effects last (as discussed above), but is a good review for readers who would like to know more about the actual phenomenon and the evidence. Thanks for these thoughts and for the tip about the review article. Thank you for the discussion on epigenetics – this is of course an overtly neglected topic in today’s biology curricula. Unfortunately, three distinct concepts are intermingled when a separation would have been more useful –at least pedagogically: (1) “Classical” Epigenetics proposed by WADDINGTON; (2) MOLECULAR Epigenetics, which refers to covalent modification of DNA and chromatin, notably methylation; and (3) Epigenetics in conjunction of TRANS-GENERATIONAL EFFECTS in which parental behaviors and environmental exposure are manifest in ensuing generations. Let me complement the thoughtful discussion in this blog on epigenetics by separating the various meanings of ‘epigenetics’. 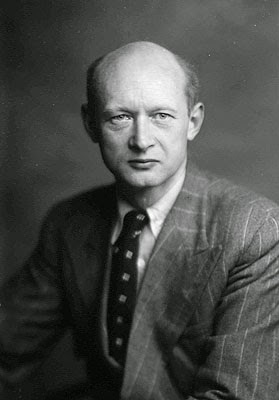 Comprehending Waddington’s thinking, notably genetic assimilation, as well as the related Baldwin effect, requires a sophistication of biological thought that the reductionist molecular biologists who discovered DNA methylation in the 1970s simply did not have and thus, they superficially adopted (hijacked?) the term “epigenetics” to describe the molecular phenomenon of covalent changes to DNA that does not affect its sequence. (For fairness, the complex regulation of methylation/demethylation was discovered much later). From then on, modern biologists used epigenetics with the mental image of DNA methylation even if they sought to explain phenomena that belong to the class of Waddingtonian epigenetics. What a tragedy! With the discovery of transgenerational effects in higher organisms (3) it was then obvious to invoke (2), DNA methylation, as an explanatory mechanism. There is category mistake here: a biological phenomenon and a mechanisms that could, but does not necessarily explain the former, are mixed up. One of the most cogent analysis of this terminological problem is that by Ptashne (2007, Curr. Biol.) DNA methylation is just ONE part of a complex set of explanations for Waddington’s epigenetics. The central problem: DNA methylation is highly dynamic and reversible. It takes just few cell generations in culture to randomize the methylation status of gene loci. The solution lies in the biochemical circuitries that lock the gene activation state in particular configurations and require continuous extra-locus or even environmental inputs. Late but not too late in his life did Waddington realise that memory in transcriptional networks can provide the natural (non-proximate) explanation for his observations, as he told surviving participants of the famous meeting series on theoretical biology that he organized in the late 1960s at the Lake Cuomo in Italy. If DNA methylation is highly reversible, it is not much more different than, say, protein phosphorylation. So why all the fuss about DNA methylation? Why is not protein phosphorylation also ‘epigenetics’? DNA methylations have become all too convenient an “ersatz religion” for genetic reductionists when confronted with puzzling findings outside their mental framework. DNA methylation is then called “epimutation” - a diagnostic sign for the deep psychological need to perpetuate a familiar scheme of thought, namely, linear deterministic genetic reductionism. The reality is that DNA methylation is, like phosphorylation, but contrary to genetic mutations, a highly regulated process, integrated in a regulatory network. It is not the entry point to invoke randomness – the prima causa of everything. This is not to say that DNA methylation plays no role in genetic assimilation and transgenerational transmission of environmental exposure –but they are, much as mutations, only the proximate cause, and are so in a completely different way than mutations. True, DNA methylation controls the activation the genes –but who controls the controller? Thanks very much for this very informative comment! I think that instead of facing up to the complexity we know, at the many ways and levels you describe, we fall into our own categories of convenience (is that also a 'category mistake'?). Somehow, science does work through much of this when the causal situation is relatively simple or clear, or something of the sort. But we don't take seriously enough that this isn't the rule. Wonder what the results would be with non-aversive stimuli. Back in the early 20's Pavlov reported inheritance of conditioned reflexes but apparently a few years later retracted had second thoughts. Interesting. I didn't know about the inheritance claim of Pavlov. I think the NG article actually mistakes what Lamarck said, in a way that also applies to Pavlov's fellow-Russian Trofim Lysenko. Even if conditioned traits were inherited, even if over a long number of generations or even permanently, it would be rather more like artificial selection vis-a-vis natural selection. For Lamarck, the striving to do something or other came from within the animal, and was not opposed from without, as by an experimenter. Of course, an experience-conditioned change of a sort compatible with, or helpful to, reproductive success (fitness) would not really violate Darwin too seriously if its success was do to natural competition. In that sense the conditioning would be a random mutation-like event for the individual who happened to be conditioned. If it happened it would just show that there are more ways to be molded by selection than we had thought. Now, what if there were 'a gene' that made organisms liable to be conditioned in this way? Would that challenge standard evolutionary paradigms? I think perhaps not in any fundamental way. We'd say that we were 'adapted for' response to environmental experience. One can debate where s/he would draw the Darwinian vs revolutionary line and I think it would mainly be semantic. The real issue is whether this sort of experience can systematically be directed into trait-specific change that gets into the germ line. If it were at all general, it could be called Lamarck-without-the-striving aspect. I personally think we cling too tightly to dogma rather than realizing that we may not know of all the ways organisms evolve. The key Darwinian fact, to me, was to show clearly that life is a descent tree from common ancestry. However what worked worked, and is here today, is a secondary question, so long as we don't get mystic about foresight and such things. I don't have full access to this article on "Behavioral Inheritance", regarding the Pavlovian experiments, but you and/or your readers might be interested. It's from 1966.